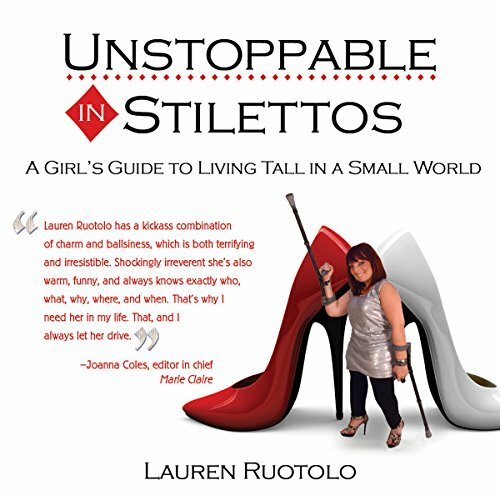 Showing results by author "Lauren Ruotolo"
How does a girl who was originally predicted to live a wheelchair-bound existence become adventurous, self-assured, successful - and unflappable? Standing 4 feet 2 inches tall in flats, Lauren Ruotolo has spent her 34-ish years seeing the world from a unique angle: upward facing. Lauren was born with McCune-Albright syndrome, a mysterious and rare genetic disease. Some people with the condition tend to go the wheelchair route, but that was never a road Lauren wanted to travel.